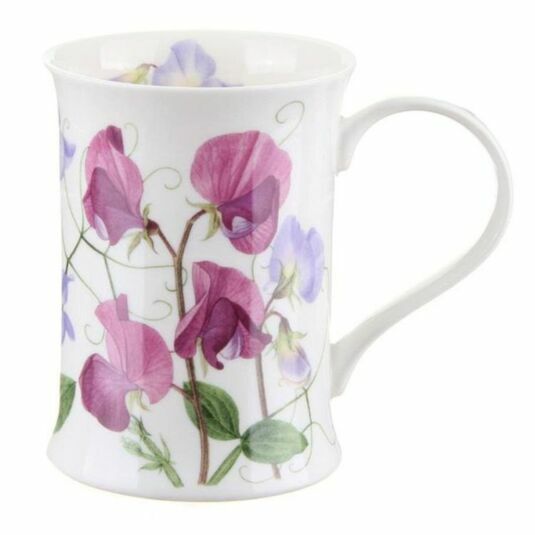 An elegant sweet pea design from artist Kathy Pickles adorns the curved sides of this beautiful Cotsworld-shape china mug. 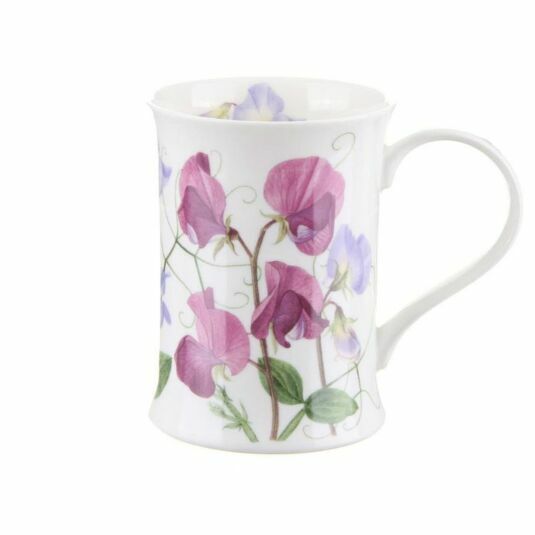 Kathy has been designing floral mugs for Dunoon since 1994 and has produced over one hundred and fifty designs. Some of her designs can be found in the Bute shape such as the 'London Bus & Taxi', and Cotswold shape including the 'Sweet Peas' range.